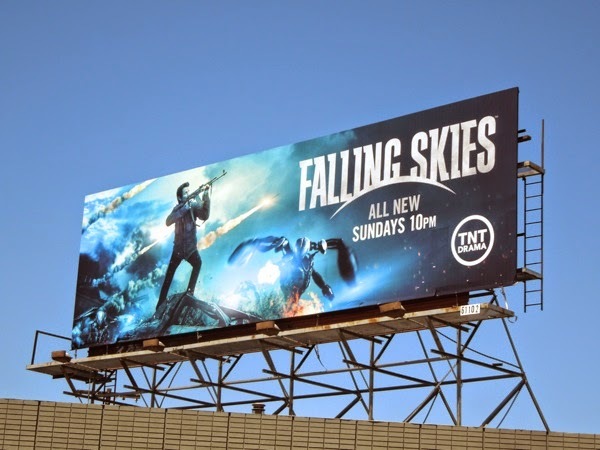 There's one alien invasion that Daily Billboard looks forward to every summertime and that's a new season of TNT's Falling Skies, starring Noah Wyle. 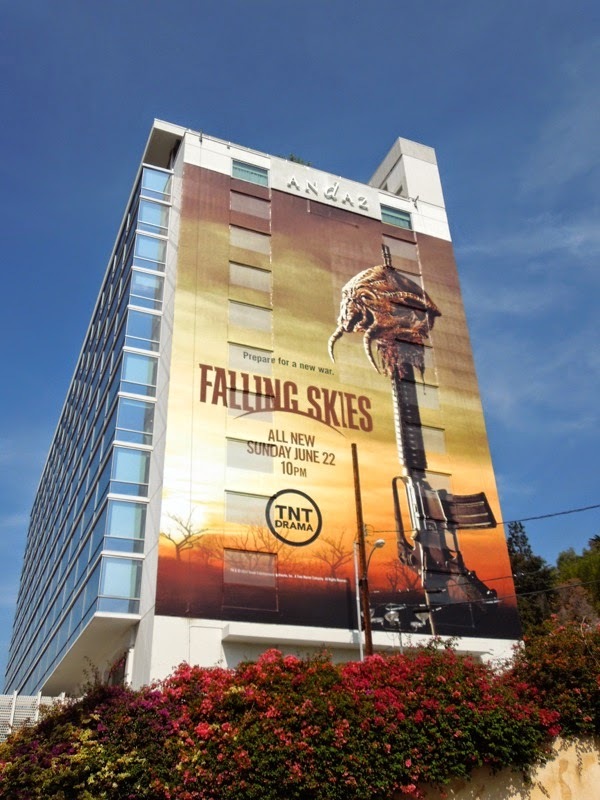 Last season 'Tom Mason's' band of plucky human survivors faced new threats and betrayals from allies, friends and family alike. 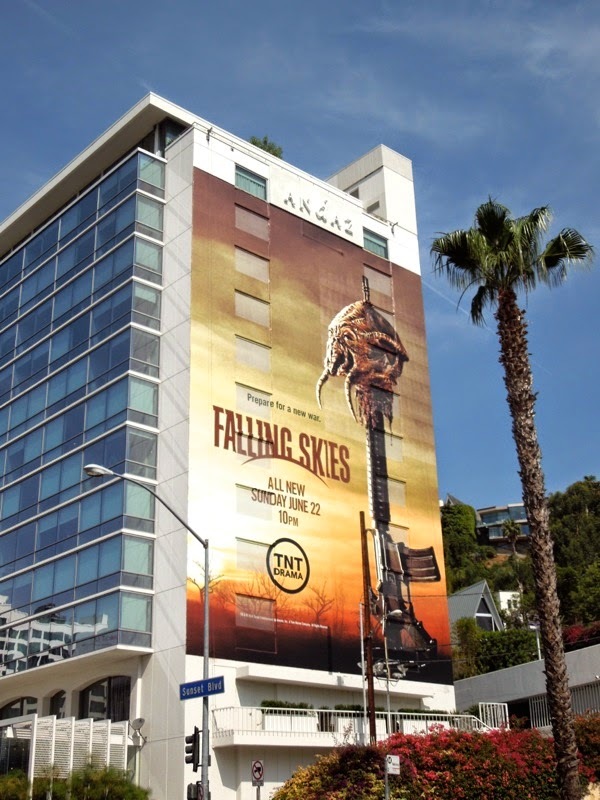 With the 2nd Mass human resistance now on the road again it looks like they'll be preparing for a new kind of war, if this giant creative with an alien 'Skitter' head impaled on a gun is anything to go by. 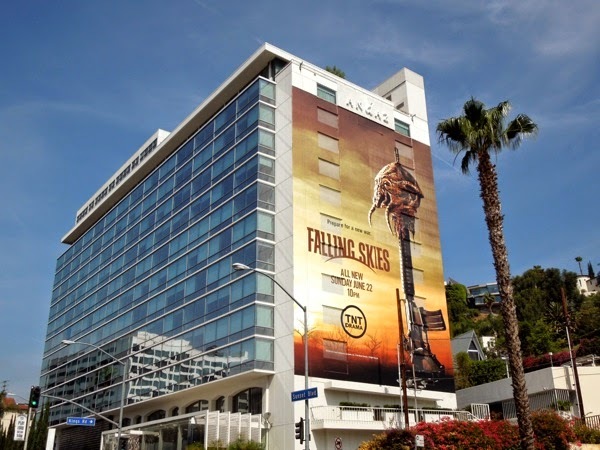 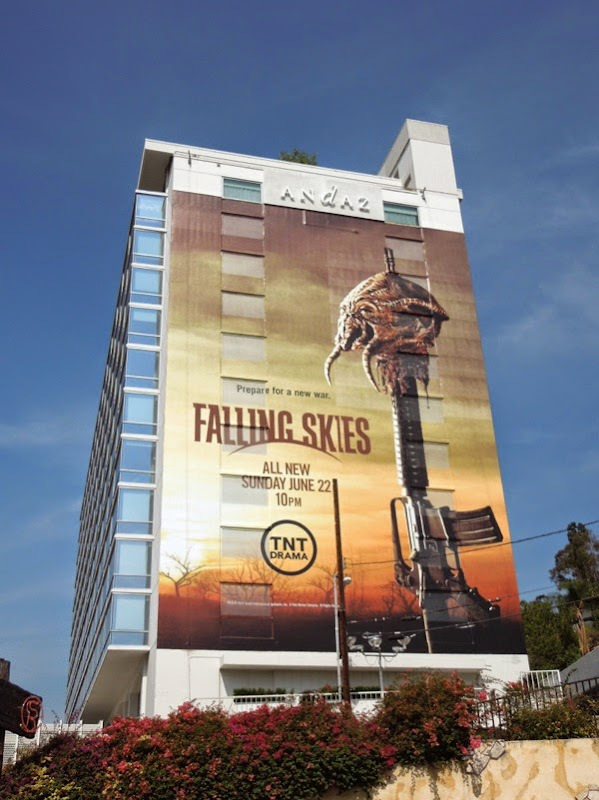 This super-sized billboard heralding the dawn of a fourth season was spied along Sunset Boulevard on the westbound side of West Hollywood's Andaz Hotel on May 29, 2014. 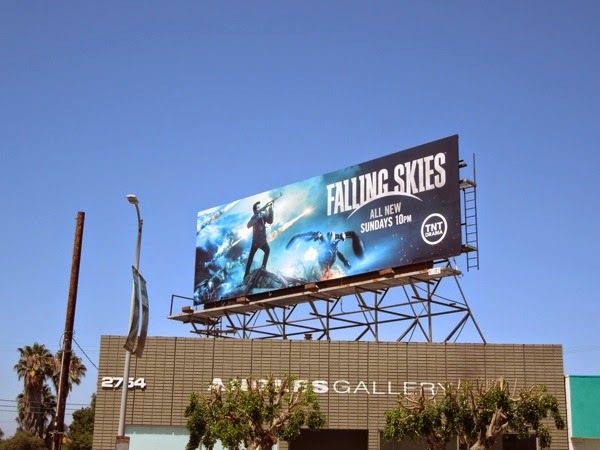 If you're a fan of the sci-fi show, be sure to also check out these previous season Falling Skies promo billboards from around the streets of Los Angeles. 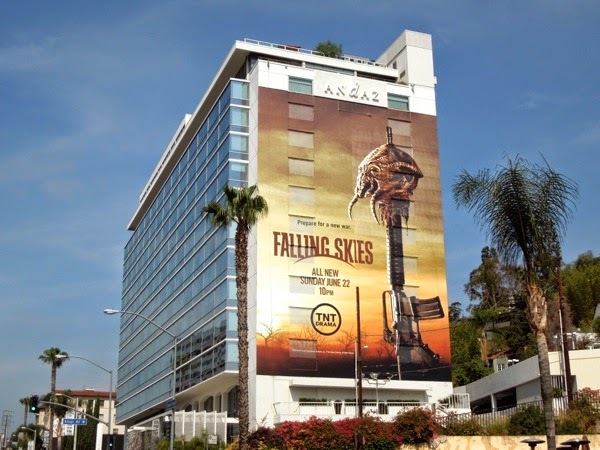 UPDATED: If you liked this foreboding giant-sized ad creative for the show's fourth season, then you'll also like this action-packed additional billboard featuring Tom Mason battling against alien Mega Mechs. This new Falling Skies landscape billboard was snapped along La Cienega Boulevard on June 17, 2014, just before the new season airs on TNT.